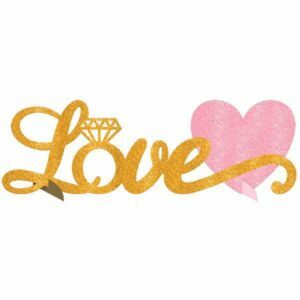 Each product in the new line will add a special touch, and some sparkle to the party. 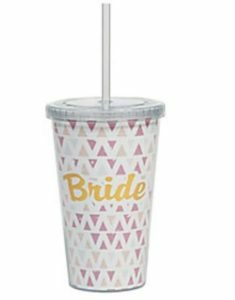 Then they can be combines with other products to easily incorporate, or transition to the Bachelorette Party. 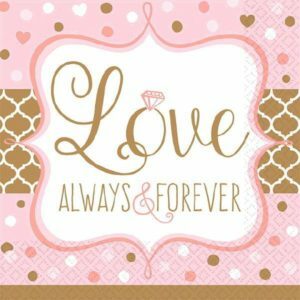 The new line ‘Always and Forever’ is highlighted below. 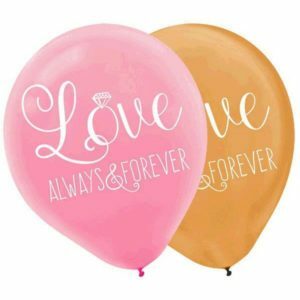 These balloons come in a 6 pack of pink and gold 12″ balloons that can be grouped or spread throughout any space. 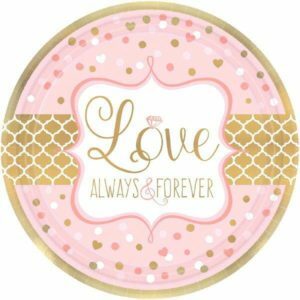 This centerpiece will add a sparkly touch to any cake or gift table and work perfectly for both a Bridal Shower and Bachelorette Party. These 7″ plates are perfect for appetizers, dessert, and other snacks. Coordinate with the same theme napkins, or mix and match for a fun look. These napkins will look good as a table setting and add a nice touch to your party decor. 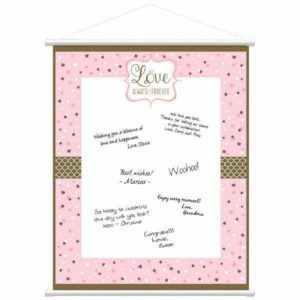 This sign in sheet is a nice quality 19″ x 24″ poster with plastic dowels on the top and bottom to keep it smoothed out while hanging. This will be a wonderful keepsake for the Bride long after the shower ends. This decor includes 6 strings of 7 feet each, and will highlight your party space. 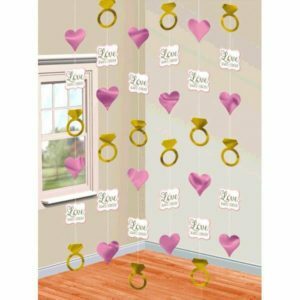 Use them as a backdrop or to separate areas of the room. and our Sparkling Photo Garland. Shop the new line and coordinating products here.